The K2 Ski company is one of the most prominent manufacturers of skis, snowboards, skates and ski gear. The company has an interesting and inspiring history. Bill Kirschner is the founder of the K2 Ski company. The story of his inspiration begins in the 1950s. At the time, his family was doing business on Vashon Island in Washington. Kirschner Manufacturing were the producers of splints and animal cages, which were made from reinforced plastic. In 1961, Bill decided to use a pattern from a pair of borrowed skis to create a pair of fiberglass skis. The results were amazing! Kirschner decided to present his idea to the Anderson and Thompson Ski Company, which was a Seattle-based distributor of ski equipment. 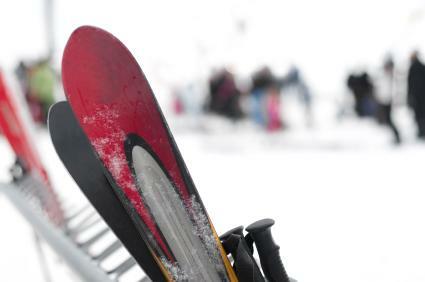 In 1964, Kirschner Manufacturing delivered 250 pairs of fiberglass skis to the Anderson and Thompson Ski Company. In 1965, they delivered 1,600. By 1967, it became evident that the company could stand on its own. Thus, the K2 Ski company was formed. The company is named after the famous Himalayan mountain, as well as the two brothers, Bill and Don Kirschner. In 1968, K2 sold 21,000 pairs of skis. Kirschner decided to separate from the Anderson and Thompson Ski Company. He then created his own distributing and marketing programs. Developing a world-class racing ski was his next step. That year, K2 racing skis finished first in the World Cup giant slalom race. The event marked the first victory that was ever won with a pair of American-made racing skis. Aside from their phenomenal performance, the red, white and blue skis had a striking appearance. As a result, between 1966 and 1970, sales of K2 skis doubled. Today, K2 is still a respected manufacturer of racing skis. Additionally, the company sponsors a number of race-training programs throughout North America. Racers who have used K2 skis include Phil and Steve Mahre: The Colorado twins who eventually became Olympic medalists, and Jean Claude Killy, the French Olympic gold medalist. Killy also served as a design consultant of K2 skis. He was responsible for opening doors for K2 sales in Europe. When snowboarding entered the winter sport scene in 1988, few people realized that it was here to stay. The K2 ski company knew better. They created the Fatbob Snowboard, which would rival the popular Burton Board. Then, in 1995, K2 Snowboards debuted a step-in binding system, appropriately named "Clicker." Clicker attaches at toe and heel, and provides excellent edge to edge response. In the autumn of 1995, K2 Skis introduced the K2 Four. The ski utilizes a "smart" material, which has been designed to counteract perturbing vibration. In 1996, Popular Science Magazine awarded the K2 Four a gold medal for performance innovation. Then, in March of 1997, the K2 Four was awarded the 1997 Snow Country Innovation Award at the Snowsport Industries of America show in Las Vegas. As the sport of skiing saw an increased popularity, inline skating, which uses similar muscle groups, also saw increased participation. K2 was quick to jump on the bandwagon. The K2 Exotech Inline Skates introduced a new sort-boot technology to the inline skating world. People would soon discover that skating could be fun and comfortable. The K2 Title Nine ski line is a series of skis for women and designed by women. Although K2 was not the first company to design a female-specific ski, it was the first to add attractive graphics. Today, the K2 Alliance is a team of female skiers, snowboarders and skaters, who hold regular meetings to discuss ski design. While its skis are now made in China, K2 is one of the few American-based ski companies.